Operators all over the world are rolling out mobile broadband services that offer 21M bps using HSPA, but what they charge customers differs dramatically, from US$75 per month in Australia to just $25 monthly in Austria. What service providers include in the package varies too. The amount of data included in the monthly rate for HSPA (High-Speed Packet Access) service ranges from 5GB to 20GB, and StarHub in Singapore still lets users surf as much as they want. 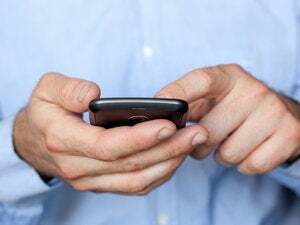 That Australian operator Telstra can charge its users more comes down to competition, according to Nick Ingelbrecht, research director in Gartner's consumer services team. Telstra is able to charge a premium for its broadband wireless services because it has the widest coverage operating in the 800 MHz band, good backhaul, lots of marketing resources and cross-selling opportunities as the incumbent fixed and mobile operator, he said. On the other side of the pricing spectrum, subscribers at Mobilkom Austria pay $25 per month -- or &#8364;19 for 19GB -- for their mobile broadband connection. The low price is the result of a price war in the Austrian mobile broadband market, according to Mobilkom Austria's spokesman Werner Reiter. However, geography can also explain the price difference. Providing coverage in a small country is much cheaper than the cost of building a national network in Australia with its huge area and population distribution, according to Ingelbrecht. Australia is about 90 times larger than Austria, but the population is only 2.5 times bigger. Still, Reiter was flabbergasted when he heard how much Australians have to pay for fast mobile broadband. "Wow, they should move to Austria," said Reiter. Competition as the primary driver for cheap mobile broadband isn't just about price wars between a number of mobile operators. Cheap broadband based on ADSL (Asymmetric DSL) is also an important driver, according to Peder Ramel, CEO at 3 Scandinavia, which in Sweden charges $35 month for its 21M bps (bits per second) service. "It was when we lowered our prices to be in line with ADSL that the sales of mobile broadband took off," said Ramel. That could help explain the difference between pricing in Europe, and the U.S. and Canada, where subscribers at T-Mobile and Rogers Communications pay between $50 and $65 per month. The average price per megabit per second during the fourth quarter last year was about $5 in Western Europe, compared to more than twice that in the U.S. and Canada, according to data from market research company Point Topic. In many European countries the regulators have managed to increase competition in the local loop, the link that connects subscribers to the operator network, according to Oliver Johnson, CEO of Point Topic. In the U.S. the local loop hasn't been opened up to the same extent, and U.S. broadband users, mobile and fixed, are paying the price with higher monthly fees. "Anything where consumers can see that they can get bandwidth for less money will necessarily have a knock-on effect to other access technologies," said Johnson. Asia has the cheapest price per megabit on both fiber and DSL, according to Point Topic, but somewhat surprisingly, that doesn't translate to HSPA. StarHub and Hong Kong-based CSL charge about $60 per month. So far, about 40 HSPA networks delivering speeds at 21M bps have been launched by operators, according to recent data from the Global Mobile Suppliers Association.